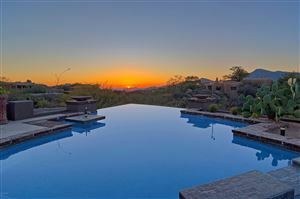 Desert Mountain in Scottsdale Arizona, at the northern most end of Scottsdale, is an award-winning private residential community, with spectacular real estate, and diverse recreation amenities. With over 300 days of sunshine per year, the Desert Mountain Arizona members enjoy a casual southwestern lifestyle offering social and recreational events. Desert Mountain is a guard-gated, 8,000 acre luxury community located in far North Scottsdale on the border of Carefree and the Tonto National Forest. There are six distinctive, award-winning Clubhouses, world-class tennis facility, Spa & Fitness Center, hiking trails, and the six private Championship Jack Nicklaus Signature Golf Courses, Desert Mountain is really a destination. 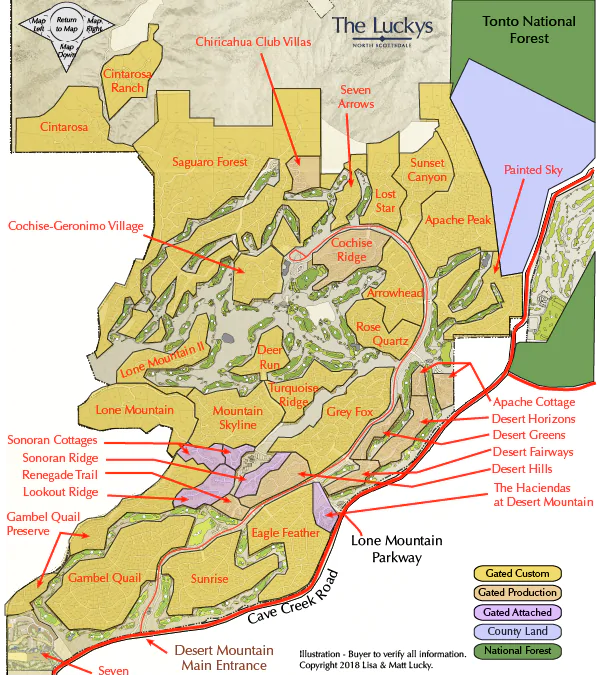 The new ‘Seven Desert Mountain‘ development, will add a seventh golf course. The Seven development includes a private 18-hole, par-54 short course, and 4 new subdivisions, outside the main guard-gate. See all Desert Mountain New. See all Desert Mountain Sold.